The smooth jazz scene experiences a Webster-mania. She appeared like out of nowhere and is now on top of the game. After her self-titled debut album (2013), followed You Change (2015) and Back To Your Heart(2016). Her new album Love Inside is just released on Shanachie Entertainment. 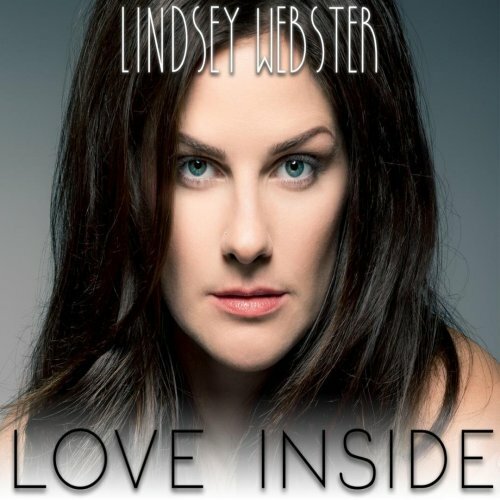 Singer Lindsey Webster is accompanied by husband Keith Slattery (keyboards), Mike DeMicco (lead guitar, rhythm guitar), Fred Doumbe (bass), Foluso Mimy ( percussion), Marcus Finnie, Bud Harner, Lance Comer, Dan Hickey (drums), Ken Gioffre (soprano saxophone), Rick Braun (trumpet) and Norman Brown (guitar). The album starts with the title song, a ballad of remarkable length. What is meant here is the playing time but not the entertainment value. The guitar riff performed by Mike DeMicco reminds me of the music by Jaffa (Elevator). However, the song’s inner value lies in its lyrical qualities. Lindsey pleases her fans on Facebook with the lyrics that are not found in the liner notes on the CD.